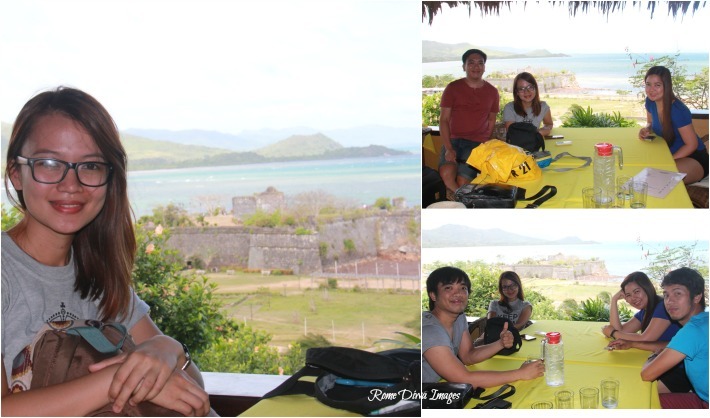 Serving five-star view that captures the essence of a seductive oceanfront overlooking Taytay Bay and the historic Fort Santa Isabel, Casa Rosa is the best place to dine in the municipality of Taytay, Palawan after spending hours of photo-shooting at the nearby Santa Isabel Fort. 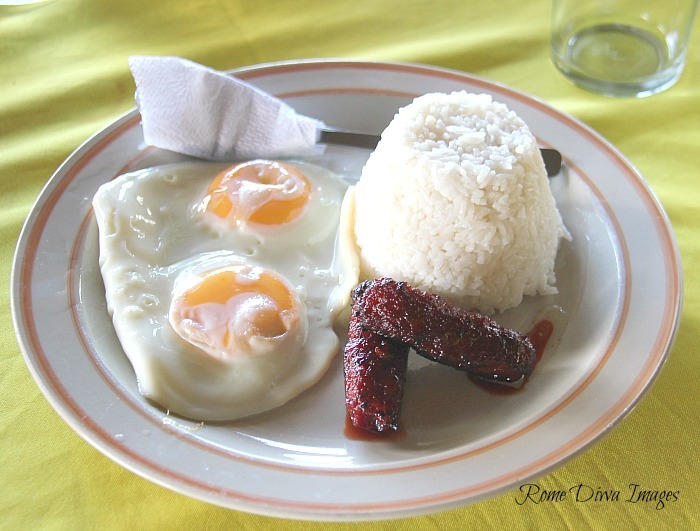 The hillside restaurant is open from mid-morning serving Filipino and American breakfast until diner offering conventional cuisine at very affordable prices including dishes such as Lomi, Chicken Cordon Bleu, and Pasta in cream and mushroom sauce. The uphill restaurant can be booked privately for breakfast, weddings or other special occasions. 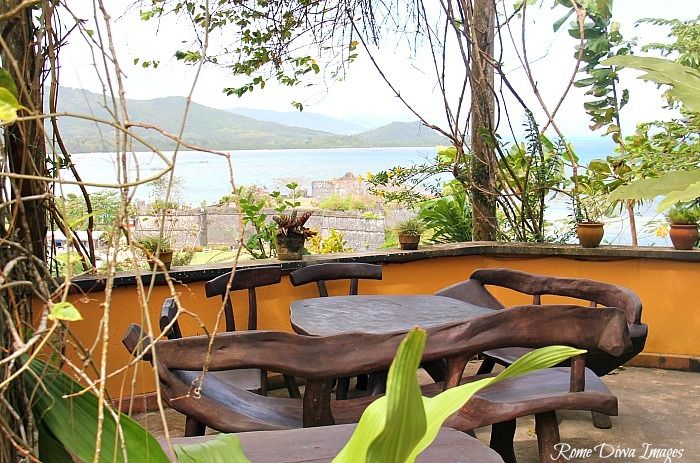 Casa Rosa also offers accommodation at their cliff-side cottages for just a minimum amount. Wide range of Pizzas are favorite among locals with affordable price range of Php 200 (Margarita, Hawaiian, Ham and Cheese, Seafood , and Vegetarian) to Php 250 (Casa Rosa Special). They also serve Sandwiches, appetizers, and desserts. 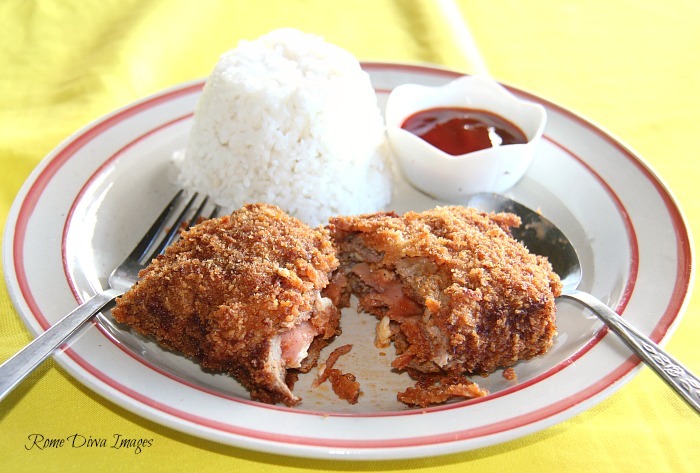 Pork Steak and Schnitzel are served with mashed potato or French fries are best serve at dinner for just Php 220.). The dishes were cooked just beside the main restaurant. Pizza on the other occasion I went here, was served hot and fresh off the oven and highly recommended though we haven't tried this time around. The most appropriate thing to order at this place is of course, champagne. But with its absence from the menu, Mojitos (Php 80) or San Miguel Beer (Php 45) could be great a substitute. Considering the prices, the dishes were all good. 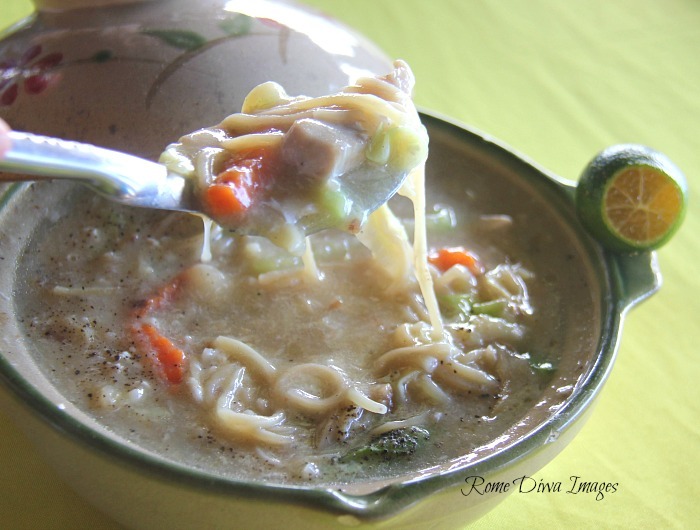 Lomi was hot and thick with lots of meat and can be shared by two. 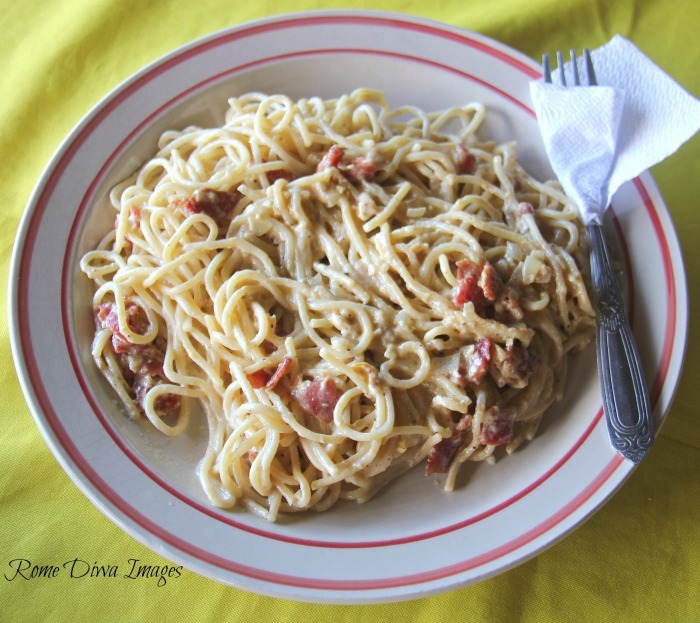 Pasta was creamy enough and Chicken Cordon Bleu is worth to try another round. Instant iced tea, freshly squeezed Calamansi juice, brewed coffee, and cold softdrins are also available. Desserts are inviting; Banana Flambe (Php, 80), Mixed Fruits (Php 60), and Crepe with Fruits (Php 130) but we skipped it because we're already full. 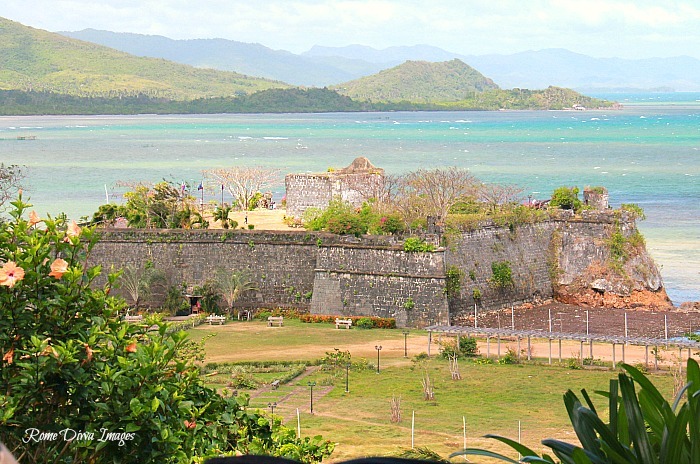 This is the perfect location for a romantic private dinner at night - It gets dark around 6pm in this part of the world and it would be nice to have dinner here, so you could take your time mesmerized with the view of the naval fortress slowly lighted during the night. Overall, the spectacular uphill restaurant where loved-up couples can dine in a cliff-side gazebo with an ocean view is the best in town and worthy every penny to relax and dine. Not too bad a price to pay, it would be a one off experience.